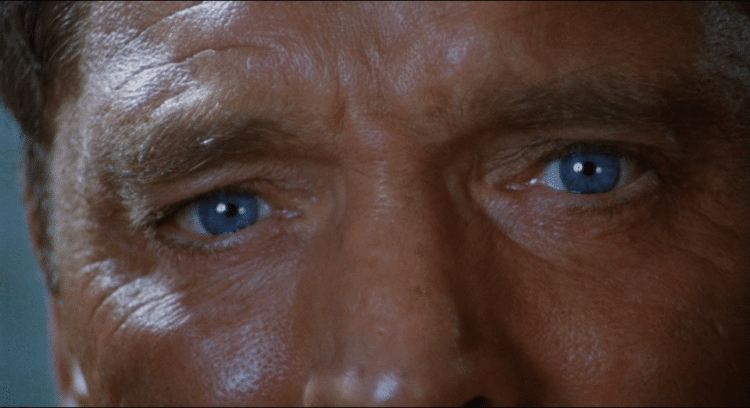 Frank Perry’s The Swimmer feels like the kind of intense hallucination you might experience after too long in the sun; by the time the credits roll, you’re never sure if it actually happened. Adapted by Eleanor Perry from a strangely beautiful eleven-page novella by John Cheever and directed by Perry’s husband Frank, The Swimmer retains the plot economy and intensity of its concise source material, making up for the gaps in detail with things Cheever couldn’t give his readers in even a thousand pages: zany, sun-drunk cinematography, a swooning theatrical score, and character embodiment by the likes of Burt Lancaster and Joan Rivers (in her film debut). That it was a box-office bomb at the time of release has meant that it remains largely forgotten these days, buried under the more celebrated output of that counter-culture-heavy era. But with such a prescient take on the American Dream – one that touches on masculinity and mental health – it deserves as much critical attention as the better-remembered movies of its period. The Swimmer is a decidedly quirky film, with a Twilight Zone-esque storytelling style that depicts a day in the life of Ned Merrill (Lancaster), an aging, yet remarkably athletic, “suburban stud”. Bronzed, trim, and only ever clad in a tight pair of navy trunks, Ned is given to front-crawls and breaststrokes while his friends of similar age lounge, drink, and bloat. Their dog-day lethargy can’t dampen his youthful spark, though, and inspired by the azure skies and aquamarine waters of his wealthy neighbourhood, Ned concocts a bold plan. From the lofty vantage point of his friends the Westerhazys’ yard, he maps out a chain of swimming pools below that make up what Cheever called a “quasi-subterranean stream that curved across the county” — and what Ned himself dubs “the Lucinda river”, after his wife — and decides to swim his way home. It’s this crackpot idea, born out of the kind of yearning for adventure that only beautiful weather can bring, that sets Ned off on his day-long epic – eventually tragic, as all epics are – to conquer every pool in this pastoral Connecticut ‘burb. Each swim is accompanied by an encounter between Ned and his neighbors, but while his mission begins jovially, the conversations soon turn darker and curter as the pool-hopping proceeds, creating the same, sudden sense of ominousness that the storm clouds gathering above bring. Released in 1968, The Swimmer could be an equal (if not superior) companion piece to the previous year’s The Graduate. Ned and his neighbors are exclusively of the same age and class as Benjamin Braddock’s parents, and there is that same air of skin-deep happiness here: at each poolside, residents are quick to show off their latest mod con acquisitions, from electric toothbrushes and ride-along lawnmowers with padded seats to water filters that boast a 99.99.99% rate of efficiency. It’s not hard to imagine they all enjoy healthy careers in “plastics”. But unlike Benjamin, Ned is, we assume, a willing member of this milieu: he speaks of his “house on the hill,” complete with its own tennis court, and a wife and pair of daughters waiting for him. But although his wealthy friends seem to confirm his high standing initially, each new swim brings with it a growing sense of unease: first, that Ned isn’t what he seems, although he believes he is, and second, that he’s happy in his illusion in the first place. Each poolside encounter, whether nasty or friendly, hints at a complicated character history in which Ned is either the villain or the victim: in one scene, Ned is chastised and banished by an elderly neighbor for what she perceives as his abandonment of her sick, possibly dead, son, while in another, friends commiserate with Ned on the rotten professional fortunes he’s had recently. But Ned gives no sign of his comprehending any of this, and so we never get confirmation either way; despite their frowns and cold body language, Lancaster keeps serving up that famous grin of his, leading us to doubt the sanity of the man we trusted so quickly at the film’s outset. Ned does start to betray a sense of knowing the truth, albeit indirectly. Stray comments about believing in your own fantasies and not worrying about “all that status stuff” suggest the denial doesn’t run too deep, but it’s only until the final scene that he fully confronts reality. Lancaster’s Ned is a stand-in for the American Dream here: tall and muscular and with a Julius Caesar-style crown of still-brown hair, a picture-perfect family life and apparent affluence. Even as we near the pathetic truth, he retains that sense of standing for something bigger than himself: shivering in the rain on the steps of his once-handsome home, there’s something Miss Havisham-esque about Ned in those closing moments. His performance here echoes Bette Davis’ in Whatever Happened to Baby Jane? : unable to accept the truth of his professional and personal failures, Ned has marooned himself in the past, making himself a victim to the kind of delusion Davis channelled so disturbingly. This is less a horror than it is a tragedy, though, so we’re encouraged to feel pity over disgust. The Swimmer is nevertheless assured in its gradually disturbing tone, which is remarkable considering the drama going on off-camera. When the Perrys turned in their final cut to producer Sam Spiegel (On the Waterfront, Lawrence of Arabia), Spiegel was disconcerted enough by its unorthodox style and disjointed cuts to order reshoots. Sydney Pollack (director of Out of Africa and Tootsie; then early on in his career) was brought on to direct these, as well as some additional scenes that were intended to make the film’s transitions more lucid. Although the original version has never been released, it’s hard to imagine The Swimmer working in a less accessible format. The final version was released after gestating in production for two years post-original shoot, with Perry’s own eccentric style (evidenced in David and Lisa) polished by Pollack with such a light touch that this never feels like the work of multiple directors. Beautiful, highly stylised and at times zany photography by David L. Quaid zooms through tree-lined avenues in shots that, out of context, you could mistake for being scenes from a POV horror – or a minds-eye acid trip. In other moments, we’re taken back in Hollywood time with overly-long slow-motion shots and inch-close wistful zooms up to Ned’s eyes, the sentimentality here being underscored by the swooning strains of The Way We Were composer Marvin Hamlisch’s score (his first ever). Vincent Canby of the New York Times thought the music was of a type that “would sound overly passionate in a Verdi opera,” but that histrionic style only adds to the idiosyncratic allure of the film. Curiously enough, this contradiction of pairing old and modern, fantastical with realistic, is something today’s viewers will likely notice more than The Swimmer’s contemporary audiences did. As a product of the ‘60s – a period defined by social overhaul – that sought to present the most cutting-edge version of domestic life of its time, The Swimmer also reminds us of the anti-modernity of that era. That a film from fifty years ago could feature computer dating (something Janet Landgard’s character partakes in) is fairly astonishing – but pair that with the image of mansions staffed by black “help” and several instances of sexual harassment and you’re reminded of the uncomfortable primitivism of the time; something that the more famous radical cultural output of the ‘60s has tended to obscure in cinematic memory. Additionally, having had the American Dream eviscerated so many more times since that era, The Swimmer’s tragic punchline – that neither Ned, nor his neighbors, can ever truly possess the Dream life – strikes its notes more confidently today than it did on its original release. And there’s Lancaster, too, whose very presence evokes the memory of a golden period in Hollywood’s history. Seeing him here, a little bumbling and senile, heightens the film’s air of inevitable tragedy. Heavy with allegory (some of it tantalizingly under-fleshed out) and remarkably well-acted, The Swimmer should be as much a classic in the American Dream-critical genre as The Graduate is. The proximity of its protagonist to the life it lampoons is greater than the latter movie’s, making for a more damning indictment of self-inflicted suburban malaise, and in terms of the failed Dream’s interaction with gender, this is as detailed a portrait of the ultimate meaninglessness of masculine ideals as Todd Haynes’ Safe is re: domestic femininity. The exposed psyche of Ned Merrill, who embodies a fantasy that still persists today, is something we can still glean snatches of self-reflection from, fifty years on.